The interview, whether on-campus or alumni, is an excellent opportunity to learn more about a school, let the school learn more about you, and show you're really interested in attending. While not every school will offer interviews (and some only offer them after you've submitted an application), it is important to take the opportunity wherever it is available. Below are ten tips on interview preparation, execution, and follow up. 1. Learn about the college and be able to express how you hope to contribute. The number one tip we give students who are about to have an interview is: read your application! In the process of writing 500 words on why you want to go to a college, you’ve already done your research on what makes the school unique and the resources there that you hope to take advantage of. If you are doing an on-campus interview and have not yet started your application, then spend some time researching courses, professors, academic research programs and clubs you hope to join. In addition to reviewing the information on the college’s website, read the campus newspaper and/or alumni magazine. These are fantastic windows into the big issues and headlines that the community cares about. Trust us: you’ll get extra points for being able to casually reference something you just read in the campus newspaper that relates to your interests. 2. Prepare to answer the question, “Tell me about yourself.” We have seen so many high school students completely freeze up and fall apart when we ask them this question in mock interviews. Don’t over-think it. Just remember that these people are meeting you for the first time and just want to start with some basics: where you go to high school, your academic and personal interests, even your family and/or cultural heritage. Work to prepare three introductory bullet points so you don’t get caught off guard when the interviewer asks you to start off by telling him or her about yourself. 3. Practice talking about your favorite subject in high school and what you might want to study at the college. Some students will find it easy to rave about their favorite high school class and enthusiastically elaborate their future plans for lifelong study of a certain subject. Others will shrug their shoulders and say something like, “I guess I like my math class best” when asked about their favorite part of the school day. Aim to be more like the first student than the second. Make sure you can convey knowledge about your favorite subjects with excitement when you talk about them. Also, please prepare to talk about how you might pursue these interests at a particular college—perhaps even have the names of a few classes you’d like to take or professors you want to work with. 4. Come up with some interesting examples of things you do outside of school. These can be formal extracurricular events, such as writing for the school paper, or informal ones, such as blogging. Think about why you enjoy them, what you’ve learned, and how you would like to continue the activity in college. 5. Brush up on the big national and international headlines. If current events aren’t your thing, make sure that you start reading a national newspaper like the New York Times or Wall Street Journal, or watching a reputable newscast (the nightly national newscast on any of the major networks or PBS) a few days before your interview. You don’t have to be an expert on every detail of the president’s foreign policy agenda, but you should be familiar with the major national and international business headlines in case your interviewer brings up current events. NPR’s news podcasts like All Things Considered are great ways to catch up on the headlines as well. 6. Find an issue or cause that you care about. Colleges want students who will use their education to make a difference in the world, which is why many interviewers will ask you to talk about an issue or cause that means something to you. You can talk about anything from saving the environment to gun control. Even if you aren’t “political,” you should still be prepared to pick one issue and own it. 7. Have a favorite book that was not assigned in school. Interviewers love to ask questions about non-required books; your answer can reveal a lot about your intellectual curiosity, especially if you are a student whose transcript may not reflect the full extent of your brainpower. 8. Be ready to ask your interviewer three questions. Most students don’t realize that interviews are a two-way exchange; a representative from the college is there to learn more about you, and you are there to learn more about the college. You’ll find that interviews usually end with, “Do you have any questions for me?” You don’t want to leave the impression that you are not curious so please ask qualitative, thoughtful questions. We have provided some sample questions at the end of this document to help you. Feel free to pick one or two so that you are not caught off guard. 9. Write a thank you note on paper. Your interviewer might receive hundreds of emails a day and only a handful of written notes each week. Go the extra mile to make an impression. Mention how you enjoyed meeting the interviewer and include one or two details from the conversation. Sign it with your name, email address, and phone number in case he/she wants to get in touch with you. 10. Practice, practice, practice. 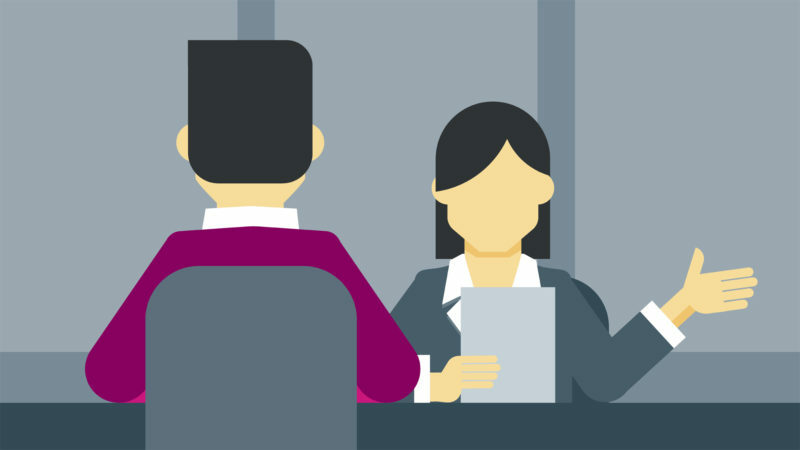 Interviewing is a skill that you can learn through practice. Use the sample questions attached to prepare. Give the questions to your parents or someone else you trust and have them ask you a few at a time.